I recently bought myself a heated vest from Aerostich. I chose the BMW-style connector because I had a bunch of Powerlet sockets that I had installed on my previous bike and they seemed to offer better weather protection than the Aerostich Quickconnect plugs. So my project last weekend was to install sockets on the ‘Wing to power the vest as well as my GoPro. 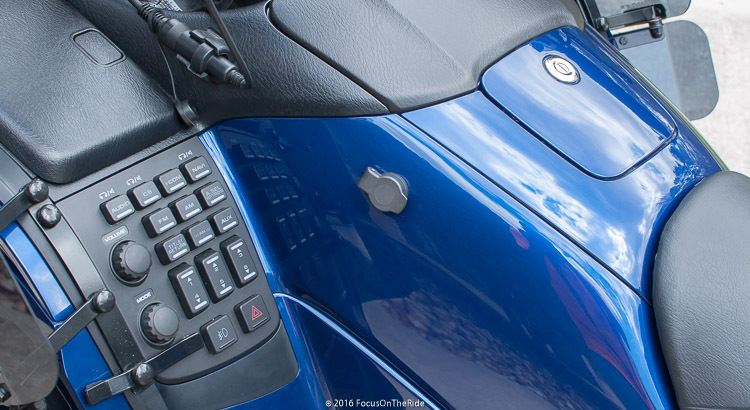 I wanted the sockets to be in a location that was very easy to reach, where the plug would not hit my leg and where I would be unlikely to snag the plug or kick it inadvertently when mounting or dismounting the bike. A couple of years ago I test rode an HD Ultra Glide at Daytona bike week and I loved the wind protection provided by the bat shell fairing. It was phenomenal. I had hope that my Goldwing would offer the same freedom from buffeting but I have to admit that it came up a little short. 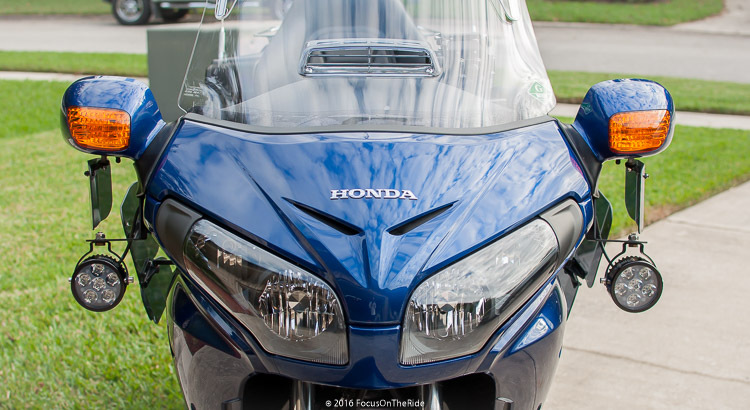 I like riding with the Goldwing windshield all the way down so that I can see over the top, but the buffeting at highway speeds is too much. So I have taken to riding with the windshield up all the way which improves things a lot – the downside being that I look through the windshield, not over it. But it still does not totally eliminate the buffeting. Last weekend I installed a Laminar Lip. The testimonials on their website are good and they have a 30-day return policy (albeit with a 20% restocking fee) so if I didn’t like it, I could get most of my money back. The big question was exactly where to mount it? They recommend starting with the top of the Lip about 1″ above the top edge of the windshield, so I duct taped it on at that position and took a test ride. I tested it with the windshield down all the way. Then I tested it with the windshield up all the way – that wasn’t going to work! Looking through the Lip is like looking at the fun house mirrors at a carnival. I then remounted the Lip a bit higher so that half of the Lip was above the top edge of the windshield. Another test ride with the windshield down all the way. Then I took it off and rode without it to reset my baseline. In the end, I mounted it so that the top edge was about 1 1/4″ above the top edge of my windshield. No fancy measuring is required. Just line up the top 3M Dual Locks so that they are just below the top edge of the windshield. I followed the instructions, cleaned the windshield, cleaned the mounting location with rubbing alcohol, lined things up carefully and pressed. The Dual Locks hold very securely. So how well does it work? Well, on a scale of 1 to 10, where ten is the amount of buffeting I formerly experienced without the Laminar Lip, with the windshield down all the way, at speeds up to 60 mph there is no buffeting. At 70 mph, I’d rate the buffeting at a 1. At 80mph, I’d rate it at a 2. So all in all, a huge improvement. 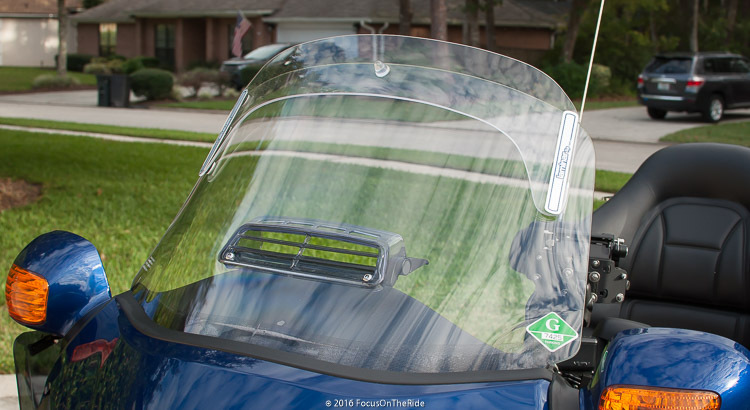 I can now ride with the windshield down all the way and I have virtually no buffeting compared to what I used to experience with the windshield up all the way. 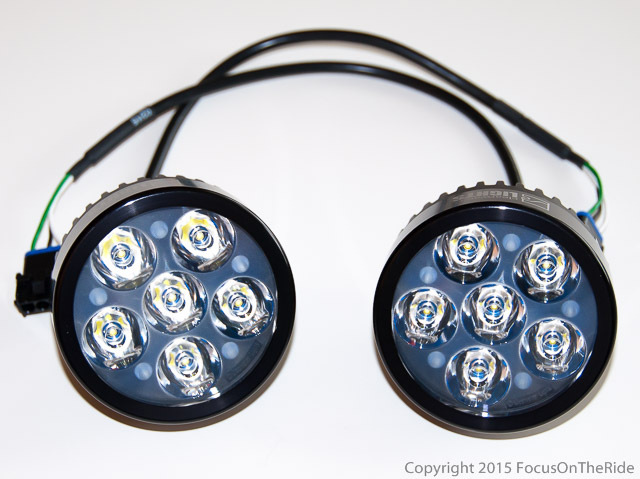 I recently purchased and installed a set of Clearwater Erica LED lights on my Goldwing. Lights for the GL1800 come with the “universal” wiring kit, so installation becomes a bit more than simple plug-and-play. In Clearwater’s defense, the challenges of this installation are simply due to the fact that the wiring on the Goldwing is buried under the left and right front shelters and it is a considerable amount of work to get the access you need to make this install neat and clean. Much of this is the same work that needs to be done for an air filter replacement – and once you have done it, you know what to do. This was my first time at it, so it was slow going (even with the Honda service manual). 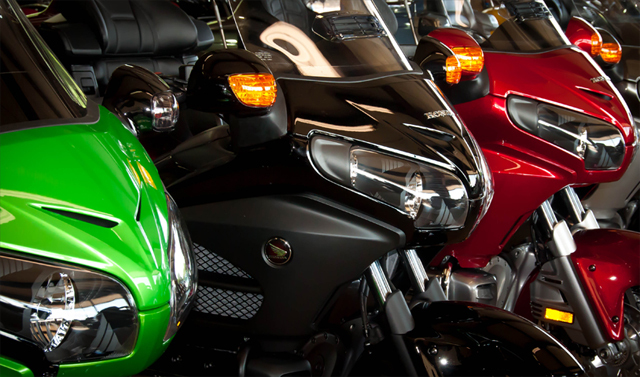 I’ve taken delivery of a new 2014 Honda Goldwing. I bought it at Schroaders Honda in Hendersonville, NC. I actually met 4 generations of Schroaders the morning that I picked up the bike. It was a very pleasant experience.